This annual wildflower, native to Europe, is extremely easy to grow. It is also known for its pink, orange, and red flowers which have a distinguished "crinkled-silk" appearance. 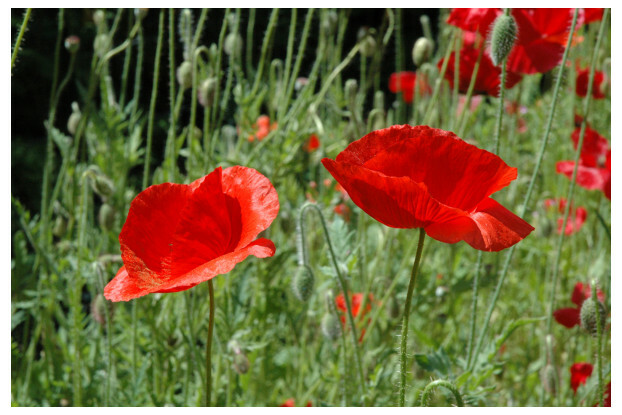 Shirley Poppies thrive in full sunlight and prefer a light, well-drained soil. These wildflowers are excellent for arrangements, mass plantings, and wildflower meadows. Can get up to three feet tall and are self-seeding.